3.5 inch 3D medal with 1.5 inch colorful ribbon. Option 1: You can post your results to our webpage. Go to USRoadRunning.com click on the training log icon on the top of the page. Your race will be listed on your training log. Click post to post your time. 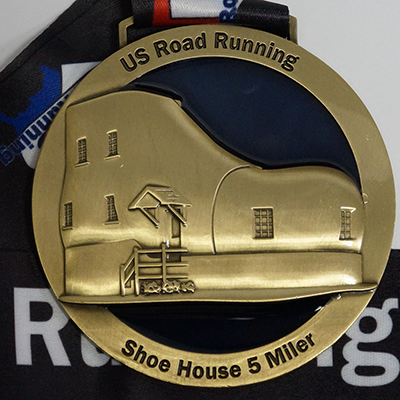 Option 2: You can also use our US Road Running Virtual Race app to post your results. App Link Note: The app may not work on all phones. Post your photos to our Facebook Group!